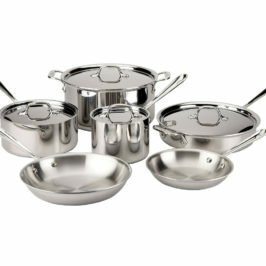 Filling your kitchen with quality cookware is a costly affair. If you’re on a tight budget, you may be tempted to buy some cheap pans and hope that they don’t need to be replaced for a couple years. We know, we’ve been there. We thought we bought the best pans we could find, only to have them fail on us in a matter of weeks. Such are the perils of a bargain hunter. Just because you are on a strict budget, it doesn’t mean that you have to sacrifice quality. There are plenty of bargains, that is, if you have the time to look for them and you’re willing to take the chance on a brand that isn’t as well known as Calphalon or Le Creuset. 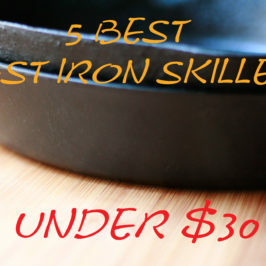 In this post, we did the leg work for you by compiling a list of the five best fry pans under $30 that we could find and put them to the test. Note: All prices are listed as of December 9, 2015. If you love eggs and pancakes, then the GreenPan Lima 3D I Love Eggs & Pancakes 8 Inch Hard Anodized Non-Stick Ceramic Fry Pan just might be the one for you. The flat bottom is the perfect surface to keep your eggs even and your pancakes round. The sturdy stainless steel handle enables a quick transfer to oven or broiler, too. It has a patented Thermolon ceramic non-stick coating that can withstand heat up to 850 degrees. 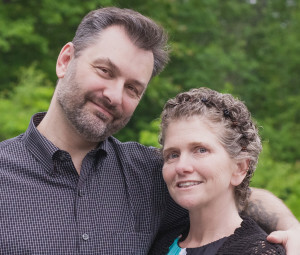 As the company’s name suggests, all their pans are free of any harmful substances, such as PTFE and PFOA, that is often found in other non-stick coatings. You’ll never have to worry about the pan releasing toxic chemicals. We found that the Lima has an even heat distribution, so the pan doesn’t have perfectly centered on the burner when cooking eggs or browning meat. Better yet, the Thermolon coating allows you to cook at lower temperatures than what are needed with other coatings. 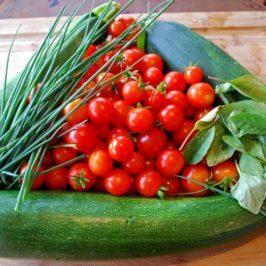 That saves a little on the energy bill, and helps to keep the kitchen cooler on those hot summer days. If you’re looking for a real bargain, it’s pretty tough to beat Utopia Kitchen Professional Oven Safe Nonstick 11-Inch Fry Pan . It’s made of a tough aluminum alloy that you’ll find in many of the more expensive pans, and even has a dual-layer non-stick coating that can withstand scraping from spatulas and other metal utensils. Its sides are slightly sloped and it has a flat bottom, so you have plenty of control over the food while it’s in the pan. The Bakelite handle stays cool so it can be transferred to the oven; however, the pan is only oven safe up to 350 degrees, so you should never use it in the broiler. 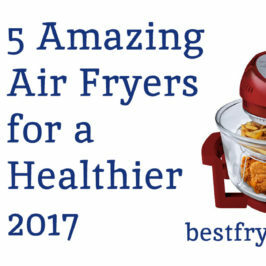 The non-stick coating is PFOA and cadmium free, so no toxic chemicals will harm you or your family. The heat distribution is as even as you’re going to find in an aluminum fry pan. That makes it possible for you to brown meat, fry burgers, create awesome omelets, and prepare just about anything else like the pros do. The Utopia Kitchen fry pan is dishwasher safe, though the manufacturer has cleaning recommendations that will help protect the non-stick surface. They suggest handwashing with soft materials, such as a nylon scrubber. One of the best things about the Utopia Kitchen fry pan is that it comes with a 30-day, no-questions asked, money-back guarantee. That’ll give you plenty of time to discover whether or not the pan is truly a bargain for you. The first thing that we noticed about the T-fal E93808 Professional Total Nonstick Oven Safe Thermo-Spot Heat Indicator Fry Pan is the red dot in the center. This red dot looks like a target. The target turns red to indicate when it has been fully preheated and ready for cooking. 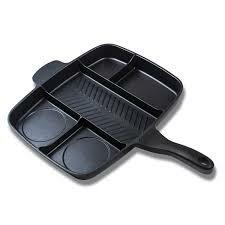 It might seem like a gimmick to generate sales, but there aren’t many other options if your pan has been evenly heated. The T-fal fry pan is aluminum with a magnitized base that is induction-ready. You’ll also be able to sear meat at lower temperatures. It’s oven safe up to 350 degrees, and its silicone handles are riveted to the side of the pan so it will never be too hot to transfer. The Prometal Pro nonstick surface is PTFE and PFOA free. It’s also scratch resistant and safe to use with metal utensils. The manufacturer claims that it is dishwasher safe, but since nonstick surfaces are generally easy to clean, we suggest that you hand wash. It’ll save space in your dishwasher and ensure that the fry pan’s nonstick surface stays completely intact. At the time of our review, the T-fal Professional was the number one seller on Amazon, and considering its price and the way that it performed for us, we understand why. T-fal has a solid reputation and their products are backed by a lifetime guarantee. We always like to see that. 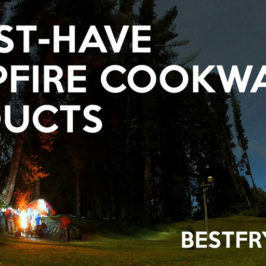 Larger than others on this list, the Cook N Home 12-Inch Frying Pan spans 12 inches, which is plenty of room for cooking for the entire family. Alongside its ability to please the palate, it is also pleasing to the eye. Its base is bright green and its nonstick coating has a black and white flecked finish to set it apart from the average gray or black pan. The Cook N Home pan is constructed of thick-gauge aluminum, yet it is equipped with a stainless steel bottom so that it can be used on induction stovetops. One drawback with this pan is that, because the handle is plastic, it is not oven-safe. But its size, durability, and price more than make up for it. The nonstick surface is as reliable as you could want. Eggs, pancakes, French toast, and onions all slide right off. Metal utensils don’t appear to have an effect on the surface either. It is dishwasher safe, but soft cloths or scrubbers are all your will need to keep this fry pan clean. The Cook N Home may not be the best seller on Amazon, but it is one of the highest rated. Not only that, but the manufacturer is quite active when it comes to answering questions and addressing product questions and shipping issues. It’s extra things like that which make satisfied customers. The 8" Green Earth Frying Pan by Ozeri is an aluminum pan with a special ceramic coating that is sure to please. One look at its green and black design and you’ll know that it is of genuine quality. We found that it fit right in on our stainless steel gas stove. Ozeri’s Green Earth is made from a heavy gauge aluminum and has a magnetized bottom that works great with induction stovetops. Heating is fast and even at the same time. The handle is made of silicone, so it will stay co, no matter how long the pan is on an active burner. This pan is all about its textured nonstick surface. First of all, it is completely PFTE and PFOA free, so no harsh chemicals. 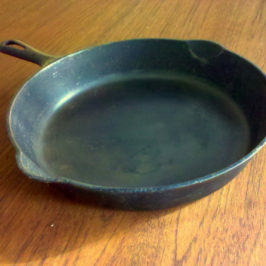 Second, it is perhaps the slickest nonstick we have ever encountered. Nothing sticks to it. Finally, the surface can withstand higher heat than most others, so you are able to cook in just about any fashion on your stove. If there are any drawbacks to the Ozeri’s ceramic nonstick surface it is that it must be handled with care. This means that metal utensils can scrape it away, as will any intense washing. Since nothing seems to stick to it, you’ll never need to put it in the dishwasher, but you shouldn’t use rough cloths or other abrasive materials when handwashing. Handle this pan with care and its surface will continue to reward you. While each one of these pans severed us well, especially considering the price, we decided that two stood out: The GreenPan Lima I Love Eggs & Pancakes and the Ozeri Green Earth Fry Pan . 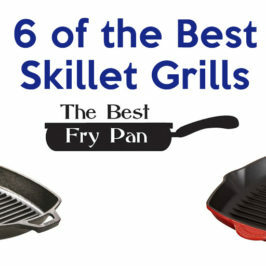 Both performed as well as any of the higher priced fry pans that we’ve tested. But if we had to choose one, it would be the Lima from GreenPan . This is because the Lima is oven safe up to 850 degrees (though who’s oven gets that hot? ), the quality of its nonstick surface, the flat bottom, and as an added bonus, it being part of a larger cookware collection that would look great in any kitchen.